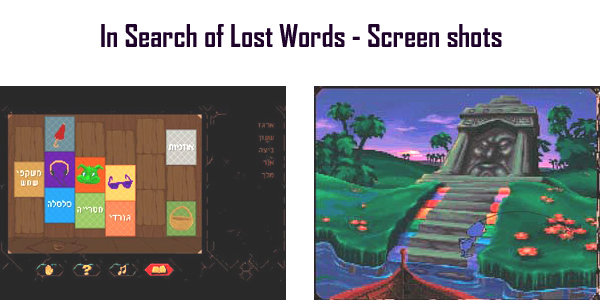 Original adventure games helps build language skills, reading comprehension, and vocabulary. Hebrew only. Children ages 7 to 11 (second to sixth grade) play a mystery adventure game that entertains while teaching valuable language and reading skills. The evil king Pondus of Arkonia is trying to destroy the planet with a horrible magic spell. But here comes a strange blue creature from the Blue Star to save the world! 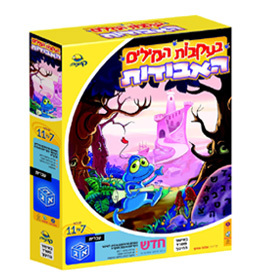 Children help the blue creature complete puzzles and get the Magic Egg that will overcome the evil king's spell. During the game, kids search for sections of ancient scrolls and complete 16 different activities and games that combine reading and answering questions with memory games and reading comprehension and are expected to draw conclusions. Among the hugely valuable learning and reading skills imparted in this game are reading and spelling skills, vocabulary and reading comprehension skills, and skills for solving logic problems.